FstCrs! : 2017 VW Golf GTI vs 2017 VW Golf R - which one should you buy? Motor1 UK - Great question! 2017 VW Golf GTI vs 2017 VW Golf R - which one should you buy? Motor1 UK - Great question! I am a HUGE fan of the "hot hatch" class... and the original VW GTI from way back when, essentially created the category, as far as I can remember! If you're looking to buy a GTI, there's another hot hatch you really should consider, and it's - surprise - another VW! 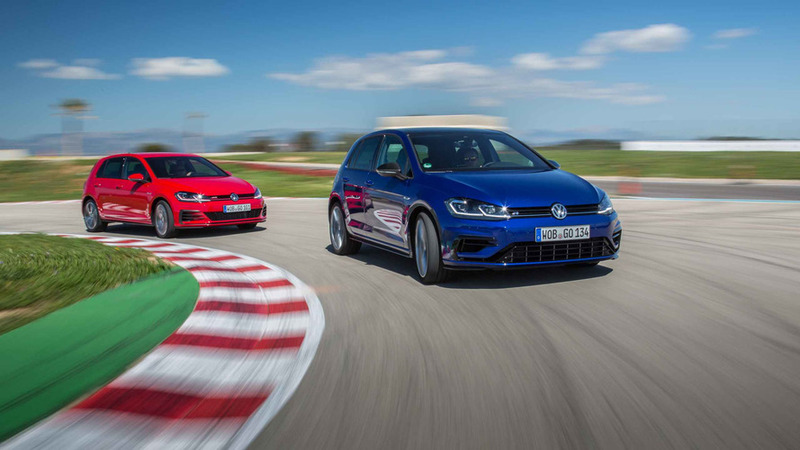 Lesser known, more expensive, a tighter suspension, plus 4-wheel drive... VW's Golf R is essentially the same thing as a GTI, with different specs! Aside from different badging, and some internal styling cues - the GTI has special plaid seating that harkens back to the original models - the GTI and the R look very much the same! I am a big fan of VW's in general... I owned a 2006 Jetta for 4-5 years, and lusted after a Phaeton for as long as they've been out (still do, maybe..) - so if this choice came down to one I had to make, I'd have to say I'd go for the GTI, or maybe a USED GTI, and get TWO of them. For the minimal visual differences between the two models, there are extensive ones under the hood, and transmission, etc. - the R is 4-wheel drive of course! Thus, the GTI starts at $25,595 US, while the R starts at a somewhat lofty (by comparison) $39,375 US - a big difference! Of course, if you live in an area that gets a lot of snow, or just want the extreme handling characteristics of a 4-wheel drive - whenever you drive, year-round - the Golf R should be your choice! Check out the video and article on Motor1.com!